This was going to be my first fishing session as a married man, and I was accompanied by my father in law, Jeff. I had deliberated quite a lot about which venue to try. I was also a bit nervous as I hadn’t looked at any of my fishing gear in over 2 months. It’s always surprising how quickly spiders claim your equipment as residence. So I spent 10 minutes wiping everything down and ridding my rod bag of creepy crawlies. I was also a bit miffed to find that all my worms had disintegrated into mush. The soil from the compost heap is obviously to acidic, and the little buggers just seemed to melt. So it’s back to some spare compost from the shed for the new batch, with some butternut squash peel to tide them over! After a few emails, numerous Google searches and much deliberation I decided we would visit my nearest fishery Water Meadow Lakes (the forecast wasn’t set to be fantastic, so an early exit may been on the cards). It produced well on my last visit with a bumper bag of Roach even on a cold Sunday in February, so I was quite keen to see how much the place had changed since the winter. Lots of options on my peg! We parked up and after unloading our gear and whipping it over the electric fence we began making our way to the lake. I was slightly concerned as the lake can be fished by the 3 lodges on site and I hoped that the pegs I wanted to fish would still be free. Fortunately they were free, and we were the only anglers on the lake. I couldn’t get over the transformation of the place. Where in winter there had been a few rushes and small margin swims, now there were huge beds of lily pads and large areas of rushes. It looked very fishy, and before I had set up I saw plenty of fish moving around in the surface layers. Jeff had a few options, and could fish open water, a margin to his right and another margin swim to his left, which had the bonus if being on a stream bed. I chose the peg along from him and had a large bed of lily pads to my right and an open water swim to my left and margins to my left and right. We were both spoilt for choice. I decided to fish dead depth close to the lily’s, 3/4 depth in open water for Roach (on the drop) and over depth in the margins. 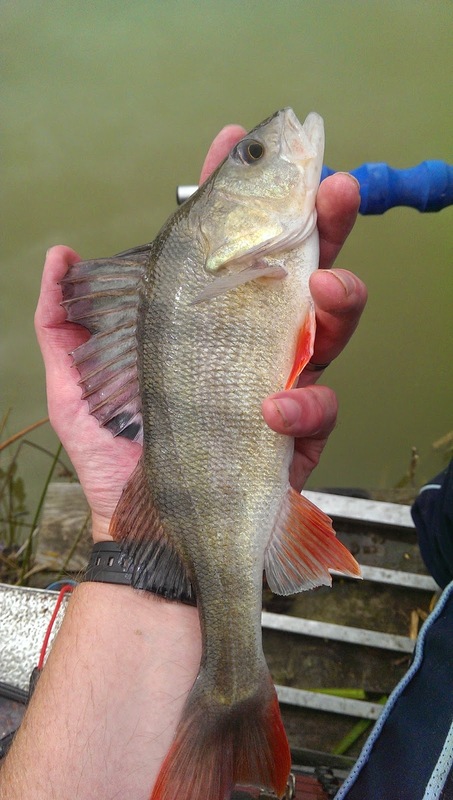 I also knew the lake had some big perch in, so I set up a cheeky sleeper rod which I would load up with a bunch of worms and leave in the margin, targeting a stray predator. Setting up was a slow fair, the majority of my rigs were set for shallow venues and a few of my hooklinks needed to be re-tied. I was a victim of the 6 P’s! By half 10 I was plumbed up, baiting my swims, and was about to ship out for the first time when Jeff called me over. “This is the biggest Roach I have ever caught!” I grabbed the camera phone and headed over to his peg. A great fish easily over 1lb, and a fantastic start to both of our days. A quick picture and the fish was back in the water, and I returned to my peg. My swims were bubbling away nicely, and starting on double caster. I shipped out and was met immediately with a bite. A Roach of a few ounces, in absolutely great condition. 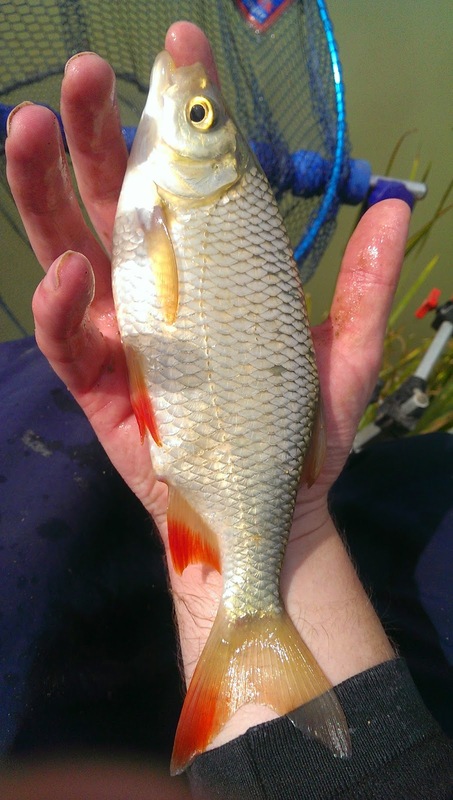 This was followed by a stream of Roach and Rudd varying in size from 4 ounces up to well over 3/4 a pound. Jeff was in again, but this time it was a small Carp. I had been told that some little Carplets were in the lake, but failed to catch any last time. 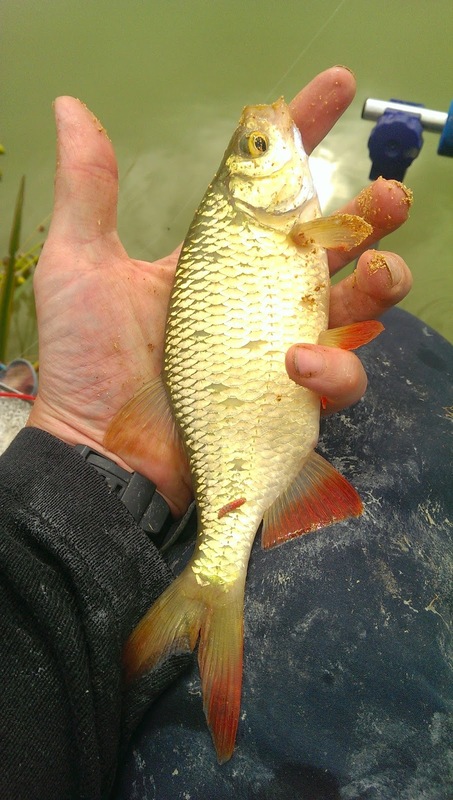 This time they didn’t seem to be as shy and after half an hour of solid Roach bashing (and on Jeff’s advice), I switched from Maggots and Casters to Corn. I’ve never been a huge believer in Corn, and always had a tin as a token gesture rather than a reliable and consistent bait. Today my opinion was changed, 30 seconds went by before the float began to bob around, then in an instant it slunk away under the surface and under the lily pads. I struck, and found I was into something a bit more substantial than the previous silver fish. The initial run was a powerful surge, and I was surprised of the size of the fish. 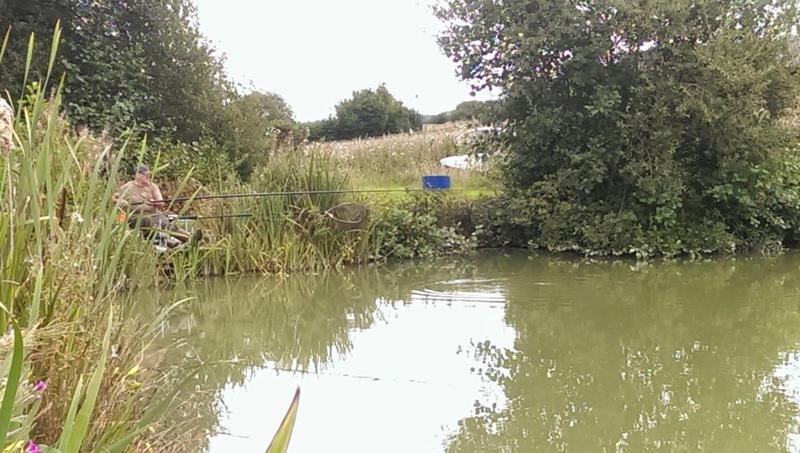 A carp between 1 – 2lb’s broke the surface, thoroughly tired from fighting my solid 16 elastic. I could have used lighter, but the lake does have 4 or 5 double figure carp, so I thought better to be safe than sorry. I balled in a Tennis ball sized lump of Bait Tech Pro Natural to keep my swim ticking over and shipping out over the top of the lily’s which were being bumped left and right by the grazing carp. I continued on corn and landed 3 more Carp (both mirrors and commons) including the biggest of the day up at around 3lb’s, before switching to 8mm Halibut pellet. The bites didn’t stop, and neither did the fish. Only the silver fish seemed interested in the pellets too! 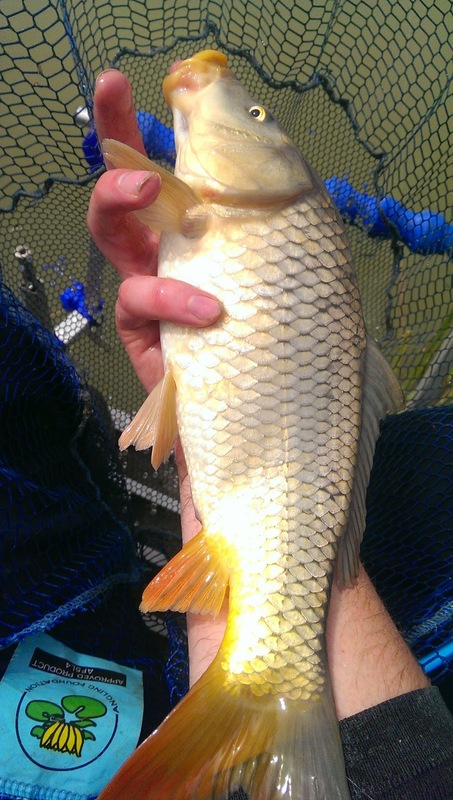 I landed a few more carp and a lovely Golden Rudd. The size and quality of these silver fish would easily rival a lot of the local commercial fisheries, and the condition of the fish may even out do them. I heard a few clicks as I was shipping in and then I remembered my sleeper rod. The tip was ripping around and the drag began to whirl. Setting the drag and striking I felt the kick of a Perch plodding away on the other end. Getting the fish to the net it was a nice Perch (small for the lake but still) up over 1lb. I carefully unhooked it and re-baited with a lump of worm and cast back out. Hopefully I had attracted a shoal of Perch and they were picking off some of the smaller silver fish in my second swim. My pole swim was absolutely nonstop and switching back onto the silver fish I racked up 30 fish in no time, and was eventually able to catch them whip style on my top 3. These fish weren’t small either, averaging 3 fish to a pound, with many over 1/2lb. At around half 1 I decided to stop and check how Jeff was getting on. He was catching very steadily and had been all day, he had also lost a much bigger fish which had bolted up the stream to his left on striking! After few minutes of talking to Jeff, a few visitors arrived with… SANDWICHES! So we stopped fishing for a while and we had a bit of a picnic. Looking at the lake, there were so many fish surfacing. The lake is absolutely packed with fish. 15 minutes of eating was enough for me and I was ready to get back to my swim. I reset my sleeper rod before shipping back out on the pole but within minutes the tip of my feeder rod showed some definite signs of activity. On striking I could feel what I thought was a small Perch, but bringing the hooklength to the surface found there was a crayfish firmly wrapped around the line! Lifting it out of the water it plopped off and whizzed back off into the margin. That would certainly explain the bare hooks I was getting on the sleeper rod! Swines! I kept the feed going on the pole lines and switched back to catching fish on the top 3. They were absolutely flying in, and using double caster meant the stamp of fish was up around half a pound. After 30 minutes of catching these fish I switched back to my carp line, but instead of using corn or pellets I used 8mm Krill flavoured boilies. These little things are neon red and stick out like a sore thumb. I lowered the bait in and almost instantly I had bite. Missed it! I found that after 30 seconds moving the hookbait almost always generated a bite. The fish, although interested, seemed more tentative about taking this new neon bait, and only when I repositioned my hookbait within a few centimetres of the lilies did I get a positive take. 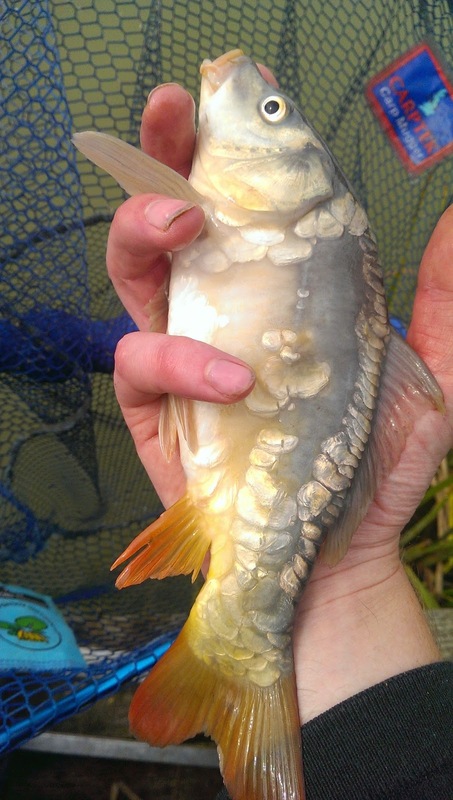 I brought to the net a beautiful mirror carp around 1lb. This continued for the next couple of hours, and was dispersed with the commentary of the local Parrett Challenge – “Come on the knobs” being called by the commentator was a particular favourite, which had me and Jeff laughing in our seats. Jeff was also to be catching well landing Roach, Rudd and Carp one after another, all falling to Maggot and Caster. Around 4pm the wind started to get up and it got distinctly colder. This seemed to affect the Carp and their feeding died off. The Roach and Rudd however still fed ravenously and I spent the last 30 minutes as I started, catching top quality silver fish on the drop. When the rain started picking at half 4 we decided to call it a day. We had absolutely bagged up and only when Jeff asked “How many Carp have you had?” did it dawn on me, the amount of fish we caught. 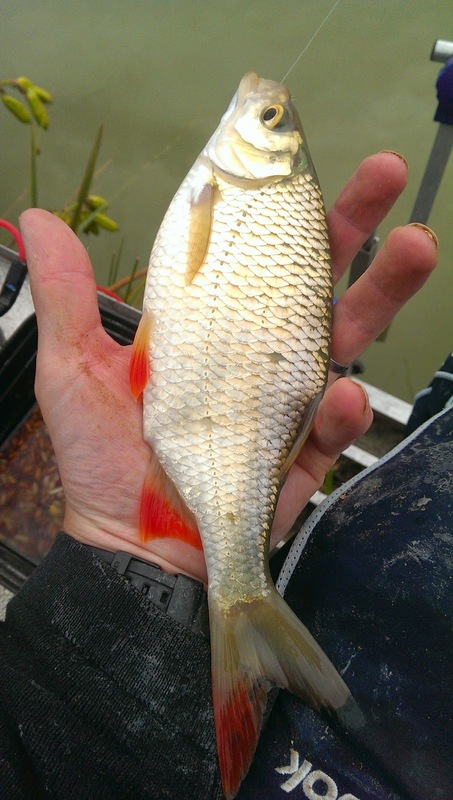 Without using a keepnet it would be difficult to say, but I had at least 15 – 20 carp all over 1lb the biggest was around 3lb, and hundreds of silver fish. This was a bag of fish easily between 35 – 45lb+. Jeff had less Carp but more Roach and must have had 30 – 40lb of quality fish. This venue is absolutely slammed full of coarse fish, but one thing I personally think the lake could do with is Tench. 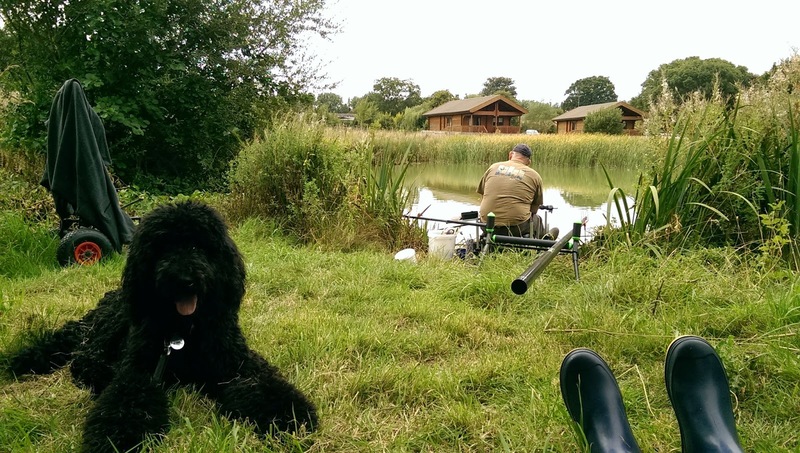 The lily pads and reeds are perfect Tench zones, and it would also mix up what you would be catching. Even without them it was a fantastic day’s fishing. I cannot recommend this venue enough if you want a brilliant day consistently catching fish. I honestly think it would do well if it was picked up by an angling club, and it would certainly see more use. The pegs are evenly spaced (albeit not many) and quite comfortable. I was quite worried about the electric fence and fishing the pole, but there was plenty of scrub and trees to ship back on to, which meant all my gear was safe, away from electricity and off the floor. The only things that let this little venue down are disabled access and no facilities. The ground to the lake is a grass path and quite uneven, and you do have to heave your gear over a low electric fence. Still it is worth the heave as the location and surroundings are great. 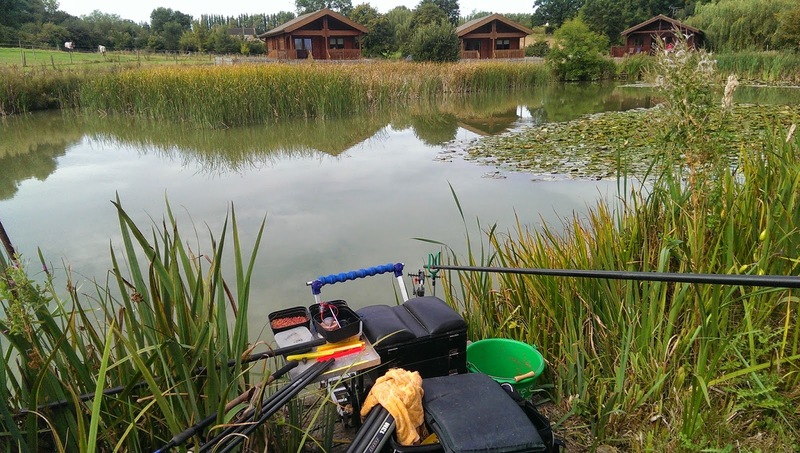 Disabled Access – ** – You could get to the lake on a wheelchair but you would need someone to take you there and back. 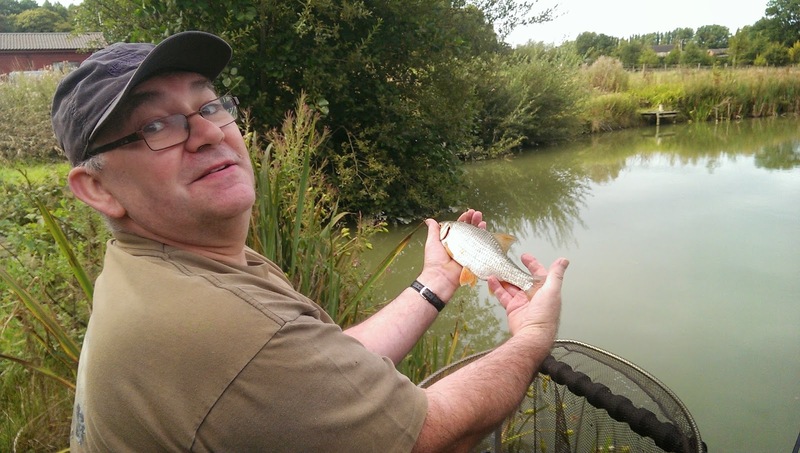 Previous story Trip #61 – Dillington Pond – Take 3!